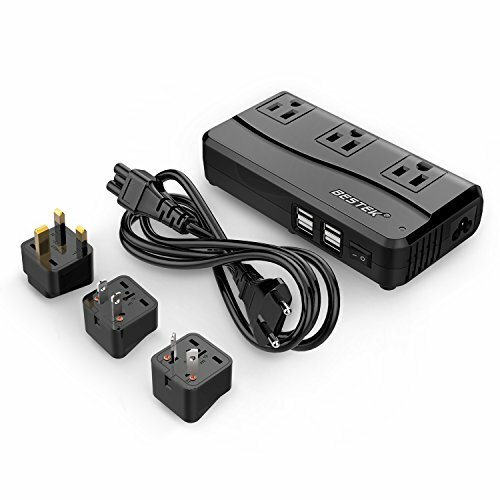 Home Travel Accessories What Electric Adapters and Converters Do I Need? 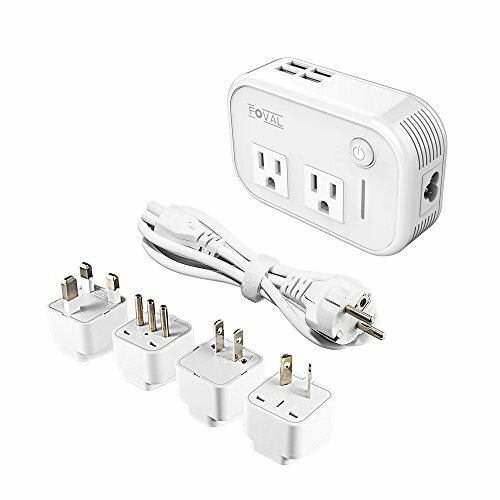 Planning which electric adapters and converters you need for international travel should be done well in advance of your trip to avoid hassle and frustration. The first step is to understand the various types of electrical outlet plugs and power adapters used throughout the world, which will inform your decisions about purchasing adapter plugs and electric converters. Do I Need an Adaptor, a Converter or Both? 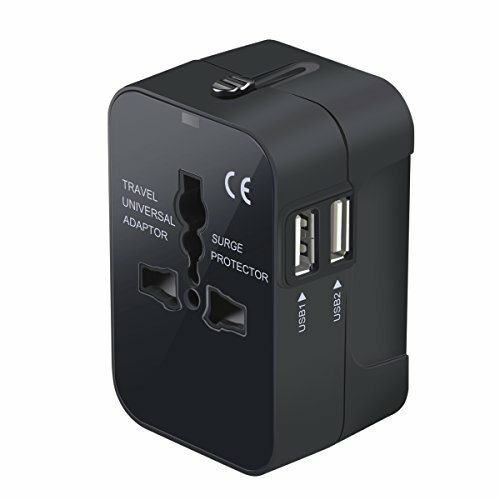 Travel adapter plugs simply allow the appliance to fit into the wall plug in another country. Converters are used to step up or down the voltage – they convert the electricity. As you can see from the 15 different types of world plugs outlined below, the most common voltage range in your travels is likely to be 200-240V. 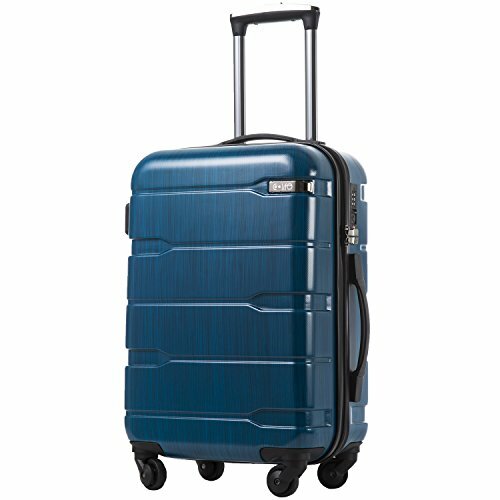 Therefore, it is possible you may only need an adapter, depending on where you plan to travel. A European adapter is a cost-effective and commonly used option. Adapters tend to be much cheaper than converters; however, a benefit of purchasing a converter is that it typically has adapter prongs built in, so it can be used for both purposes. Some of your electronic appliances are already equipped to handle different voltages. 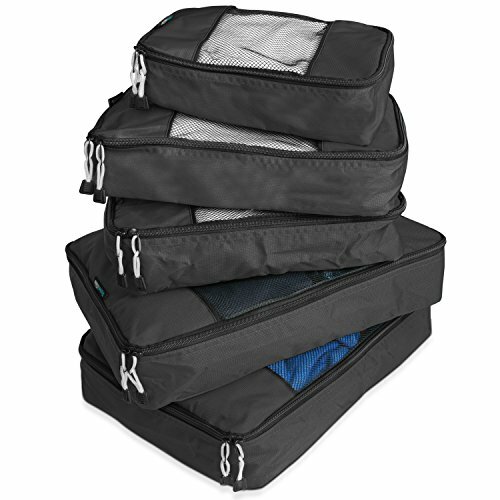 This is typically the case with computers/tablets, cameras, and smart phones, so you will most likely only need an adaptor for the majority of your travel gear. 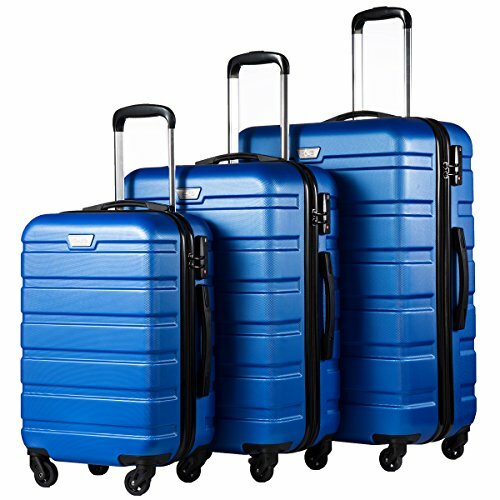 Check your items to see if they are “multi-voltage,” which means you may only need an adapter to use them while traveling abroad. 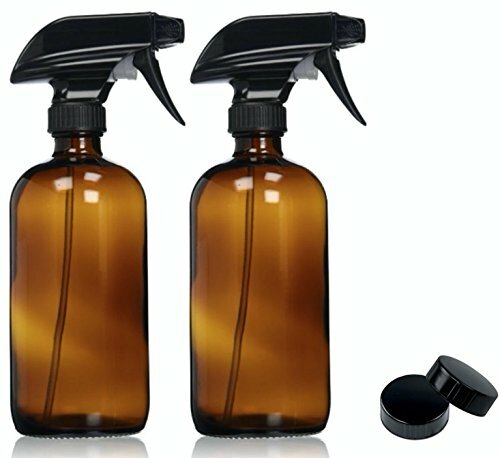 Converters are used more for items with motors, such as hair dryers, electric toothbrushers and electric shavers, and even many of those already have dual voltage built in. For US travelers, most of your travel gear are two prong or USB, and not three prong, which is good as most adapters and coverters only accept a two prong plug. An adapter/converter that accepts a three prong US plug is difficult to find. 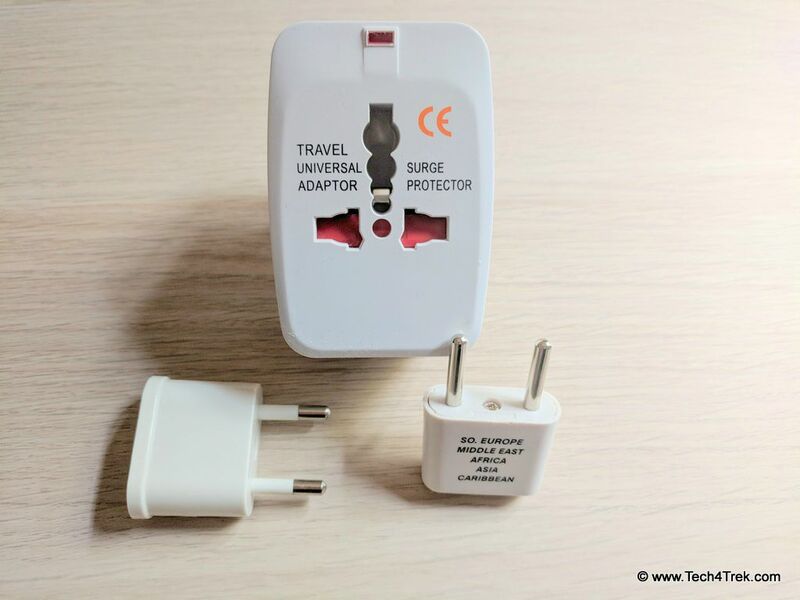 A step-down voltage converter allows a European traveler to easily use his appliances in the US, for example; and a step-up voltage converter allows an American traveler to use hers in Europe. Do you need an adapter, converter or both? An adapter changes the shape of the prongs on your plug so they fit the plug in your destination. A converter actually changes the voltage and current to match the local electricity type. There are plenty of each type of available as well as combinations. 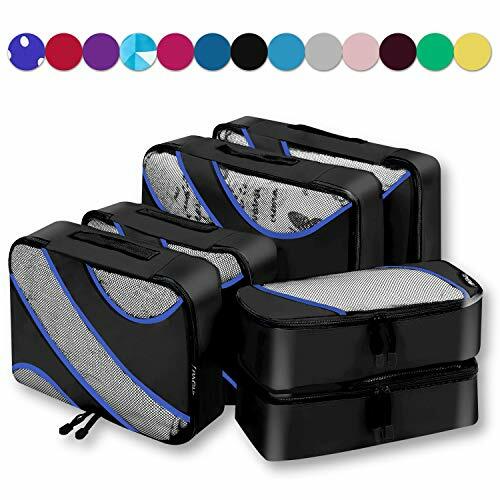 I recommend taking options on the road since there are often outlets too small or placed oddly and won’t fit a converter, so you’ll only be able to use an adapter. An extension cord is a MUST HAVE for any traveler. I’m constantly shocked at how poorly the outlets are placed in hotels and apartments around the world. Are you supposed to sit on the floor behind a piece of furniture to work on your laptop? 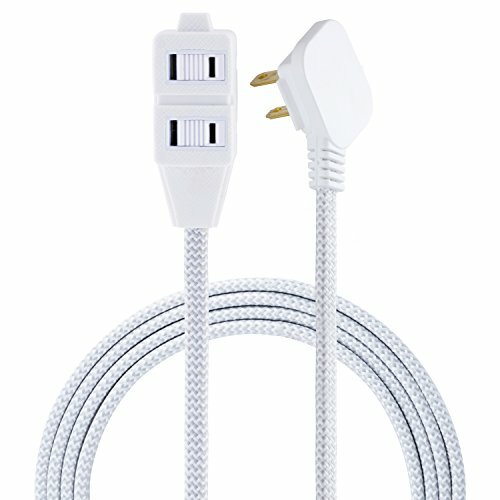 Create your room any way you want with a long extension cord (at least 5 feet) with multiple outlets and dedicate one of your converters to it, saving you buying lots of converters since you’ll have multiple outlets from your home country. Here are two great options for extension cords, each available in 10+ colors. Bonus points for USB charging ports, although you’ll most likely just plug in a USB charger. 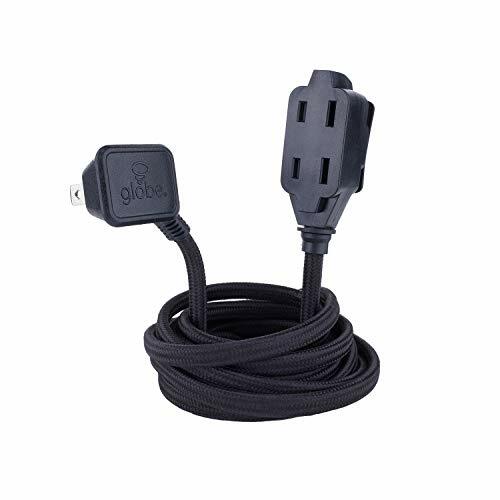 THE ORIGINAL DESIGNER SERIES: decorate your space with Globe Electric's designer series extension cord. Patent pending. Power strips also available! Not enough outlets? Add on a Multiple Outlet Adaptor (make sure it’s 2 prong, not 3 prong). While I wouldn’t plug 5 hair dryers into one set up, it’s just fine for charging multiple devices like laptops, cameras and phones and also fine for using one motorized appliance at a time. 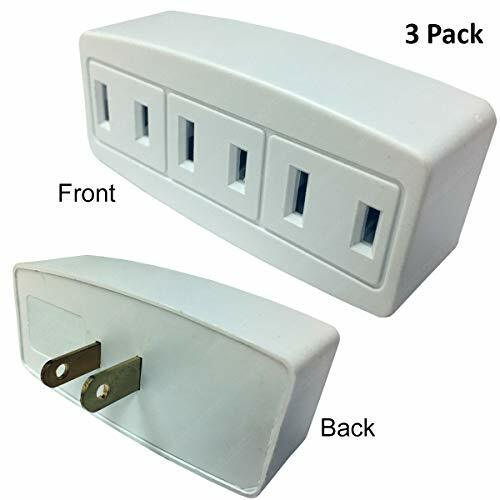 Convert one outlet easily into three making it easier to plug in all your small electrical devices into one socket. Type A: primarily in the United States, Canada, Mexico, and Japan. Two pins, not grounded, 15A, usually 100-127 V, compatible with Plug Type A. Type B: primarily in the United States, Canada, Mexico, and Japan. Three pins, grounded, 15A, usually 100-127 V, compatible with Plug Types A and B. Type C: primarily in Europe, South America, and Asia. Two pins, not grounded, 2.5A, usually 220-240 V, compatible with Plug Type C.
Type D: primarily in India. Three pins, grounded, 5A, 220-240 V, compatible with Plug Type D (may be compatible with Types C, E, and F). Type E: primarily in France, Poland, Belgium, Czechia, and Slovakia. Two pins, grounded, 16A, 220-240 V, compatible with Plug Types C, E, and F.
Type F: primarily in Russia and Europe (except for the UK and Ireland). Two pins, grounded, 16A, 220-240 V, compatible with Plug Types C, E, and F.
Type G: primarily in the United Kingdom, Ireland, Malta, Malaysia, and Singapore. Three pins, grounded, 13A, 220-240 V, compatible with Plug Type G.
Type H: exclusive to Israel, the West Bank, and the Gaza Strip. Three pins, grounded, 16A, 220-240 V, compatible with Plug Types C and H (may be compatible though unsafe with Plug Types E and F). Type I: primarily in Australia, China, Argentina, and New Zealand. Two or three pins, two pins: not grounded and three pins: grounded, 10A, 220-240 V, compatible with Plug Type I. Type J: primarily in Switzerland, Rwanda, and Liechtenstein. Three pins, grounded, 10A, 220-240 V, compatible with Plug Types C and J. Type K: primarily in Greenland and Denmark. Three pins, grounded, 16A, 220-240 V, compatible with Plug Types C and K (may be compatible though unsafe with Plug Types E and F). Type L: primarily in Chile and Italy. Three pins, grounded, 10A and 16A, 220-240 V, 10 A socket compatible with plug types C and L (10 A version) and 16 A socket compatible with plug type L (16 A version). Type M: primarily in South Africa. Three pins, grounded, 15A, 220-240 V, compatible with Plug Type M.
Type N: primarily in Brazil. Three pins, grounded, 10A and 20A, 100-240 V, compatible with Plug Types C and N.
Type O: primarily in Thailand. Three pins, grounded, 16A, 220-240 V, compatible with Plug Types C and O (may be compatible though unsafe with Plug Types E and F). The bottom line is you may wish to play it safe by purchasing a converter with an adapter included to cover all possible scenarios. It may cost a little more than the adapter, but it could save you from the costly mistake of ruining an electronic item damaged by incompatible voltages in another country. How to choose a voltage converter is based on both the electronics and appliances you plan to use as well as the countries you plan to visit. Therefore, you will need to survey all of the items you plan to take, know the plug and voltage types in each destination, and research all of the scenarios and plan accordingly. Then you are ready to go! You traveled halfway across the world to a beautiful destination. 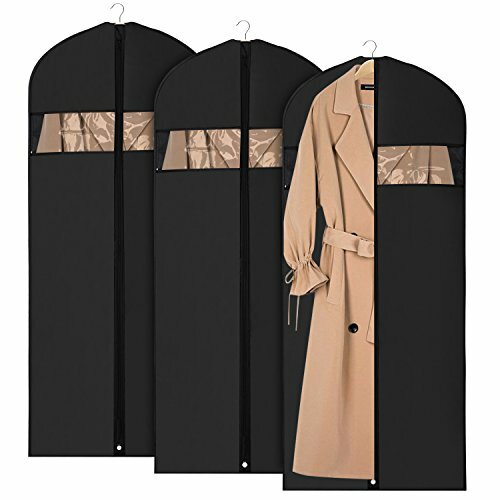 You enjoy a long-awaited shower, get dressed, and retrieve your hair dryer from your luggage… only to find you missed a crucial step in your travel planning. You can’t plug your hair dryer into the wall outlet and you don’t have any plug adapters, power adapters or electric converters. Needless to say, without a power supply and the right power adapter plugs, your cell phone charger, camera charger, and other important devices will not work in the outlet as well. And there is no way your cell phone will last the whole trip on a single battery charge. This is no way to start an exciting journey abroad.